Weather systems can be a source for great fortune or cause horrendous devastation. 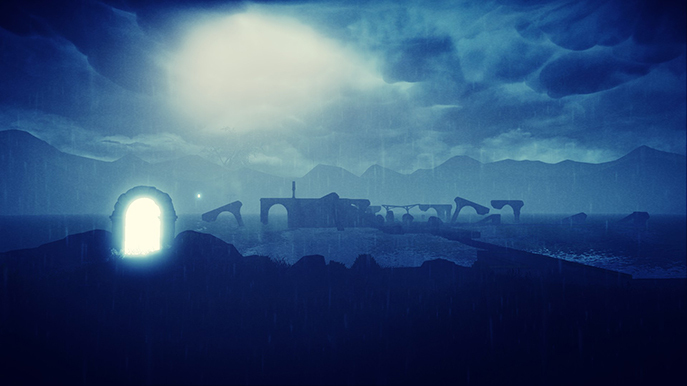 Having been plagued by dangerous conditions in his life, MIND: Path to Thalamus requires you to manipulate weather to your will in order to solve creative and distinct puzzles allowing your progressions in these lands. You are in a fantastical coma induced dream world as you traverse the landscapes in search of forgiveness. It all starts with a child's drawing. 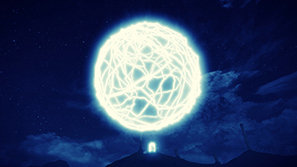 MIND: Path to Thalamus begins with a bang and has one of the best and most intense openings I've seen in a long time. After you hear the words, “How many times will I kill her”, you are thrust into a scenario that immediately feels beyond your control. Even after seeking a safe place the walls shift behind you, imagery you will not yet understand is around you and the monologuing from the protagonist discusses uncomfortable and intriguing events that have occurred in his life. Throughout this sequence your are guiding by the drawing, always just out of reach and floating down the halls. 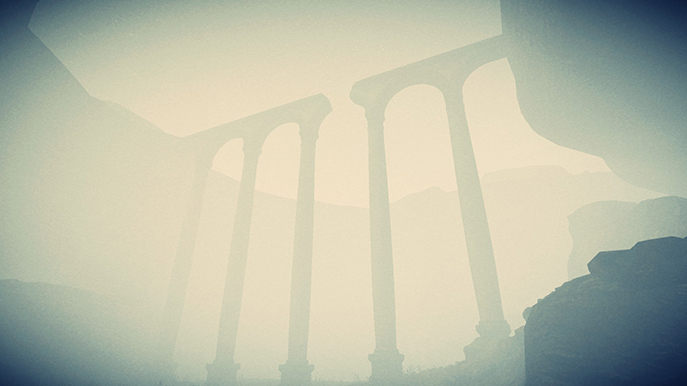 MIND: Path to Thalamus is a first person, narrative focused puzzle game. And it is beautiful. Every area your journey takes you to has fantastic visual design that left me in awe several times; from sunsets reflecting across a seemingly never-ending beach, deep and lush forests and sprawling meadows. There is such attention to how this game presents itself and it stays at a consistently high quality throughout the game. It's not only the areas when you initially encounter them. 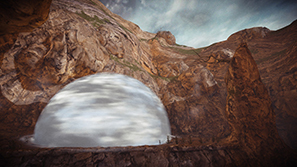 During your puzzle solving you'll change the look of these areas considerably with fluid transitions. It's really impressive. The only issue was a constant vignette effect on the screen. It looked appropriate in some areas but in the lighter landscapes the high contrasts was a little distracting and felt unnecessary. A game cannot sustain quality with looks alone, and thankfully, the puzzles in MIND: Path to Thalamus are equally excellent. There is a linear progression and each puzzle is situated in it's own area. There is no hand holding at all in this game. At the very beginning you are told that you can move and pick things up. When you begin to encounter the puzzles you are required to figure things out for yourself. The game teaches you very well. Instead of a tutorial explaining what actions you need to take the puzzles start out simply. The limited number of things you can interact with show you how the mechanics work. The puzzles expand with each you then encounter and you feel comfortable with the progression. These puzzles are fun to complete, and while occasionally tricky, always have a logical solution founded within the game's reality. Most of the puzzles follow the same type of routine. 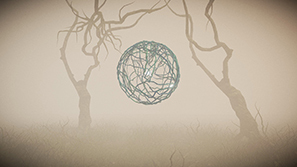 There are spherical objects you can pick up, and these, and yourself, activate a different condition in your area when placed in a specific location. These condition changes alter the landscape and help you advance. For instance; you can make it rain which floods an area, raising some platforms in the process. While the majority of the puzzles revolve around changing weather conditions with the spherical objects, it does not feel repetitive at all. There is considerable variety in the puzzle presentation and complexity and some solutions will have you feeling pleased with yourself. If you think of a way the puzzle can be solved, it is always worth a try. You need to experiment with what the game will allow you to do; it will never tell you up front. I found my own frustration levels in the game to be a minimum. There were a couple of areas that I had some difficulty with. However, after exploring the entire area, considering my options and utilising everything that was available to me I was able to solve these problematic areas. And left feeling rather satisfied. There was one moment in the game where the puzzles really clicked for me. I had been completing them on a technical level; figuring out the solution practically. All of a sudden I realised: the puzzles thematically go hand-in-hand with the narrative of the game. This is clever and really brings all aspects of the game together. You are, after all, inside the protagonist's mind, while he's in a coma, and this world is his own creation, representing his obsession. The protagonist monologues throughout the journey and is both well written and voiced. 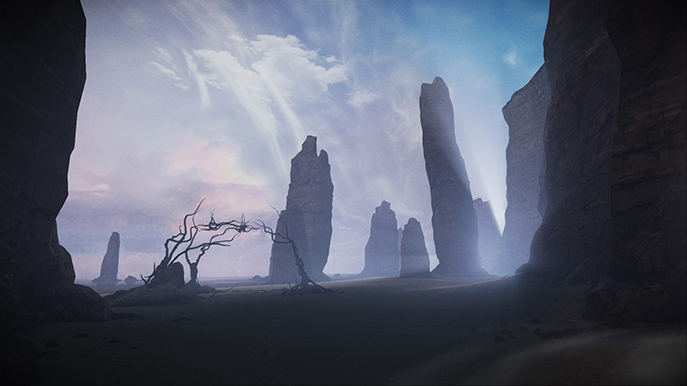 As you progress in your journey to Thalamus, an enormous tree that looms on the horizon, his words contextualise the narrative and give you an understanding of all that is happening around you. There are several areas that stray from the main puzzle types that focus (while still containing puzzles) on the narrative. One of these, near the end, was terrifying and a real spectacle. The overall story is very interesting and will make you think throughout the game, and the ending is excellent as well. MIND: Path of Thalamus is filled with beautiful moments; moments where the visual design, the excellent soundtrack, the writing and the shifts in the landscape around you will leave you in awe. The production is of very high quality throughout and it is a journey you will not soon forget. The puzzles are elegant, fun to solve and logical. In the five hours it took me to complete the game I saw many different locations and conditions, and they were all beautiful. MIND: Path of Thalamus is not just the best puzzle game I've played this year, its one of the best games of the year so far. The atmosphere will immerse you and you'll always want to see what comes next. Do yourself a favour and play this as soon as you can. It is spectacular.